We’re in the heart of summer, and it feels great to get outside. It’s easy to enjoy the long days and the many recreational activities that come with summer. 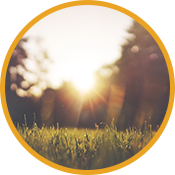 Being outside is not just enjoyable, but also beneficial for individuals who have struggled with vitamin D3 deficiency throughout the winter. This is a time to soak up the sun and bask in the warmth that it provides until winter comes again. However, the sun is a double-edged sword for many people. 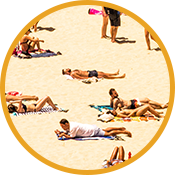 You may love to bask; however, any time spent in the sun, especially without the right considerations and protection, is time that could lead to future skin cancer. How is that possible? Humans need the sun. We are unable to create vitamin D3 on our own or gain it through our natural diets in any other way. This means that we have to spend time in the sun or get our vitamin D3 through natural supplements. During the winter months, it’s often easier to simply opt for a high-quality supplement, like ImmPowerD3. But during the summer, if you want to get outside, go for it. Just take the following precautions each time before you head outside. We all know how much we hated having to apply sunscreen as children. Now that you’re older, you understand how important sunscreen can be to protect your health. When you apply sunscreen, opt for a sunscreen lotion and use roughly one ounce to cover your body 15 to 20 minutes prior to going outside. Also, pick a sunscreen that is labeled as broad-spectrum. Sunscreen won’t stop your body from synthesizing vitamin D3, but it will stop both UVA and UVB rays from harming your skin. Don’t forget to reapply every 80 to 90 minutes that you’re in the sun, and more often when you’re playing in the water. Obviously, you don’t want to use sunscreen on your eyes, but they are still susceptible to the sun’s rays. It’s important to protect your eyes, and the best way to do this is with sunglasses that have both UVA and UVB protection. Many contacts also have the option of including UV protection, and it’s always worth it to say yes to this option. If you don’t have sunglasses, or can’t stand wearing them, a broad-brimmed hat will do the trick in a jiffy. The sun’s UV rays are at their strongest from 10 AM to 4 PM. If you can stay inside during this time, you’re better off. However, in order to get some vitamin D3 synthesizing in your body, try taking an early morning walk after you slather on your sunscreen. Lastly, it’s important to note that while tanning beds may seem like a safer option, they are not. Never opt for a tanning bed. If you need to get a tan, try using one of the dozens of self-tanners available instead of a harmful tanning bed. Always opt for natural sunlight with the right protective gear over dangerous tanning beds. The sun doesn’t have to be a double-edged sword if you know how to protect yourself. Just follow our tips, and you’re sure to be okay. And in the wintertime, when you’re low on vitamin D3, pick up some ImmPowerD3 to take care of your needs.